New Delhi: Work on 12 new railway lines with a total length of 1,248 km is being taken up in the northeast, an official statement said on Tuesday. 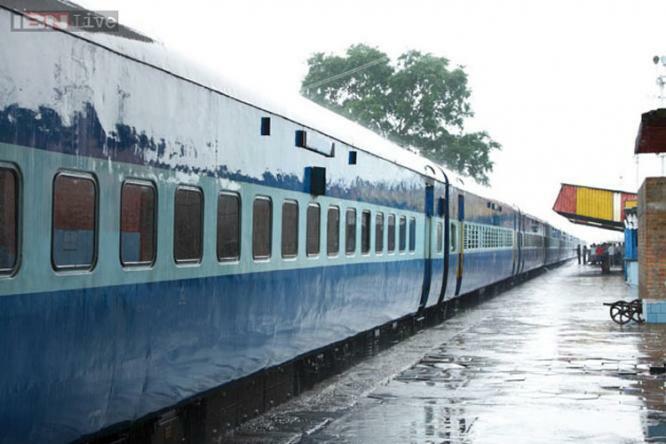 "Against a national average of 20 km per 1,000 sq km railway network density, the northeastern states have an average railway network density of 10.1 km per 1,000 sq km," Minister of State for Railways Manoj Sinha said in a written reply in the Lok Sabha on Monday. Work on 12 new railway lines with a total length of 1,248 km is being taken up in the northeast, an official statement said on Tuesday. "Twelve new line works have been taken up in northeastern region having a total length of 1,248 km at a total cost of Rs. 38,416 crore (Rs.384 billion)," he said. According to the minister, Rs.2,279 crore was allocated in 2012-13, Rs.3,392 crore in 2013-14 and Rs.5,200 crore in 2014-15 for new lines, gauge conversion and doubling the existing lines in the region. "An increased outlay of Rs.5,338 crore has been provided in 2015-16 for speedier execution of projects in the northeastern region," Sinha said.